This server has received 2229312 hits from both ipv4 and ipv6. 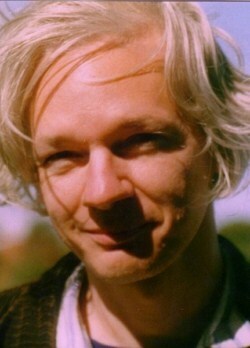 This week has seen continued drama surrounding the website WikiLeaks and it’s head Julian Assange. Behind the scenes, a cyber war is being fought by opponents and defenders of the site. Various providers of services to WikiLeaks, including hosting companies, dns providers, payment gateways and others have withdrawn service over the last 2 weeks. 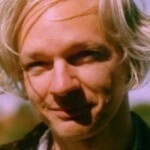 This action prompted a furious backlash against their websites by angry supporters of WikiLeaks. Most providers who withdrew services cited breaches of their terms and conditions in one way or another – some technical, some not. Paypal said “…our payment service cannot be used for any activities that encourage, promote, facilitate or instruct others to engage in illegal activity. We’ve notified the account holder of this action.” Others were subject to denial of service attacks. Few, if any, have stated their action was as a response to US governement pressure. As quickly as providers have halted services, website mirrors and new domain names have sprung up around the world. Meanwhile supporters of the site have set up retaliatory attacks on providers who withdrew services. Mastercard and Visa have both seen outages on their website in the last few days. One such group , Operation Payback, even advocates a mass faxing campaign to tie up communications at companies such as Amazon, MasterCard, Moneybookers, PayPal, Visa and Tableau Software. For web hosts, it’s time to take a good look at the terms and conditions of service. French host OVH is all over the news this week because of its decision to request a judicial review of its responsibility associated with removing WikiLeaks from its servers, and to continue hosting the site until that review is complete. A survey by WHIR of hosters makes interesting reading – hosts were split 50/50 on whether they would host WikiLeaks at all.